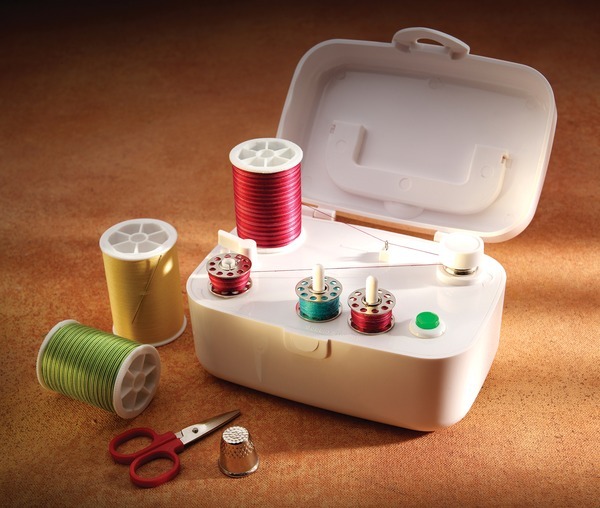 Winds Class 15, Singer 66, L Rotary, Metal or Plastic Bobbins without using your built-in bobbin winder. Not for Viking Green or Singer Self-winding bobbins. 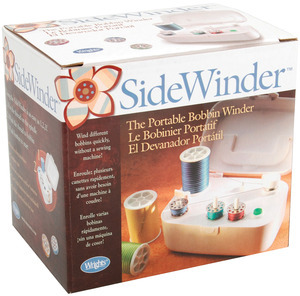 The SideWinder Portable Bobbin Winder is a new gadget for all sewing and quilting machine users. 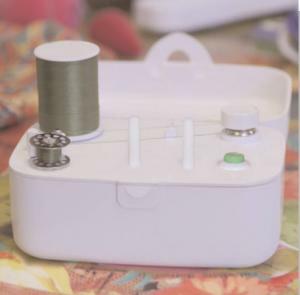 With the SideWinder you can fill several bobbins before beginning to sew, saving time and complete rethreading every time your bobbin runs out. May your bobbin always be full! Using the SideWinder is as easy as 1, 2, 3, 4! 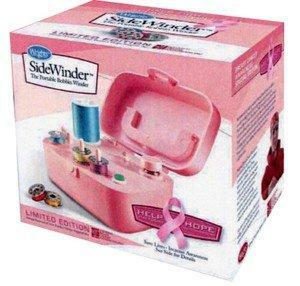 Thread, bobbins and scissors not included. 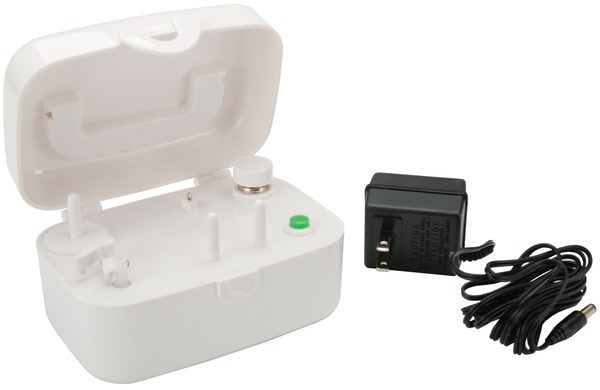 Do you have any electric or battery operated bobbin winders that can be modified for winding the plastic floss bobbins? As long as there is a hole in the center of the circular bobbin that will hold the empty bobbin onto the winding spindle, it should work. You may have to hold and feed the floss by hand to provide an even tension in winding on the bobbin. Great Company. Prices of products are good and selection is good. Will be returning for supplies in the future. Thank You. I love my new Singer machine. It arrived safely and on time. I have made other purchases from your company and have always been pleased with the service. The whole process went smoothly and I would order again. I have been able to find almost everything I need at Allbrands. 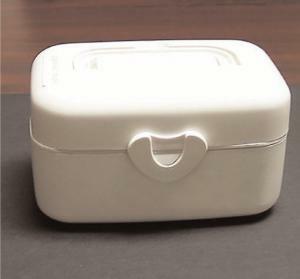 The price and ease of use was the reason for me selecting the product. I was also happy that no other fees were assessed. Thank You. have found you to be very reliable. The merchandise was of high quality, and price was right. Shipments have arrived when you said they would. I check with you first to see if you have the item I am looking for before I check the stores. As usual, Allbrands has come through -- item was salepriced and is excellent. Package was well wrapped and arrived speedily and in good order. I couldn't be more satisfied. Thank you. I was very happy with the product and the service. Will definitely use your site again. I have had this bobbin winder ordered from another company for about 3 months. It never came; so I ordered it from you and I think I had it within about 3 days. Service was excellent as it always is when I order something from you. I love your company. Keep up the great work. This was purchased as a gift so I really don't know about the quality as of yet. The transaction itself, was a breeze. I had spent alot of time running around town trying to find this product & gave up. Then, I decided to look online, found your company, and within minutes I had ordered it. Thank you. I wish I shopped online more. I liked the quick shipping and I think this customer survey is an important thing that makes your company standout. Also, it tells me that your focus is on the customer, process, and quality. Keep up the great work - it is things like this that will make your company super successful. I would and definitely will refer your company to others. Happy Holidays!